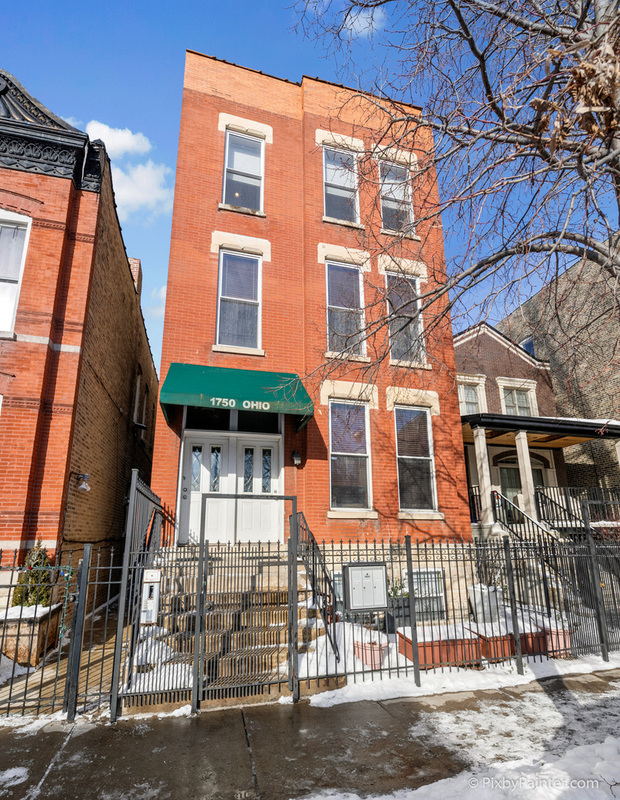 Stunning top floor duplex features 2 bedrooms, 2.5 baths + rooftop den, perfect for entertaining all year round. This spacious unit features an open floor plan with over 2,000 sf and plenty of sunlight. Stylish finishes throughout the home include hardwood floors, exposed brick, arched hallways, high ceilings, two fireplaces, granite countertops, and stainless steel appliances. The master suite includes a large whirlpool bath and a separate shower. Sensational skyline views from the large rear deck and the rooftop. In unit W/D, a parking space and additional storage is included. Very well maintained brick building with new roof and parapet walls. Private designated roof area specific to this unit. Walk to restaurants, parks and transportation. This amazing home has everything to offer. Pets welcome. Easy to show. Come see before it&apos;s gone!